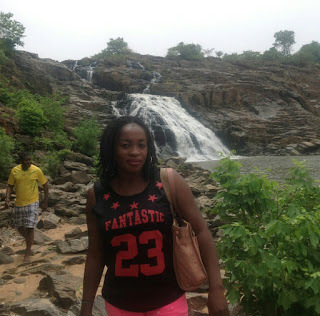 Gurara Falls is one of the famous tourist site in Nigeria. 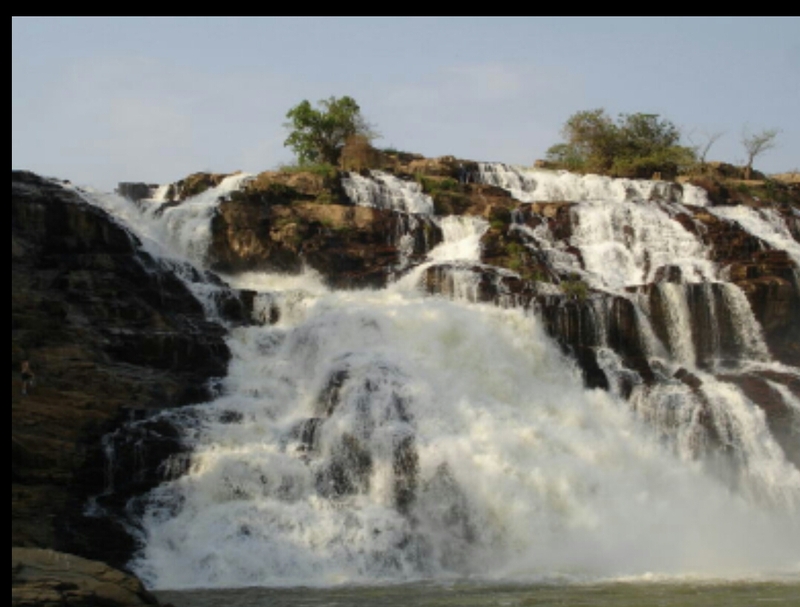 It is located in Gurara, Niger State. It is about an hour's drive from the Federal Capital Territory, Abuja. The water fall is approximately 98 feet and it lies on the Gurara river along the Suleja- Minna road. 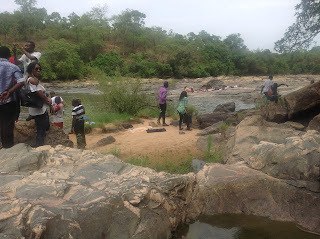 The site is very popular with Nigerians and foreigners who visit for picnics, bon fires, swimming and having a good time. According to oral history, it was first discovered by a Gbagyi hunter called Buba in 1745, before some Europeans discovered it in 1925 after they found it as a recreation centre. 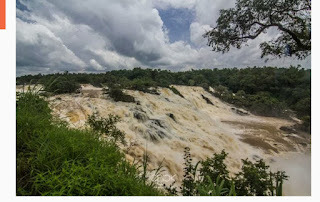 Oral history has it that Gurara water falls and Gurara river was named after two deities called Gura and Rara. The fall is at its peak between the months of April and November, and is lowest between January and March. It is safest to swim during the dry season. Gurara Water falls is big, magnificent and glorious, you can hear the roar as you approach. The environment is so serene, and could inspire any artist that appreciates nature. 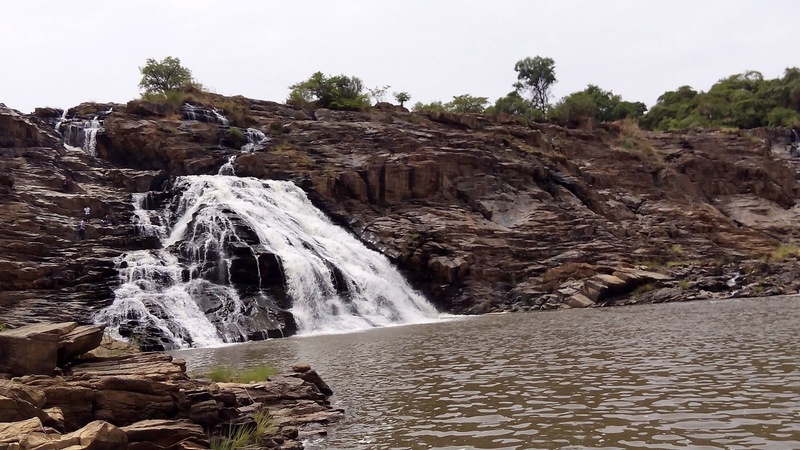 Gurara water falls has a wonderful plunge pool, sunny small beach and rocks to sit on. 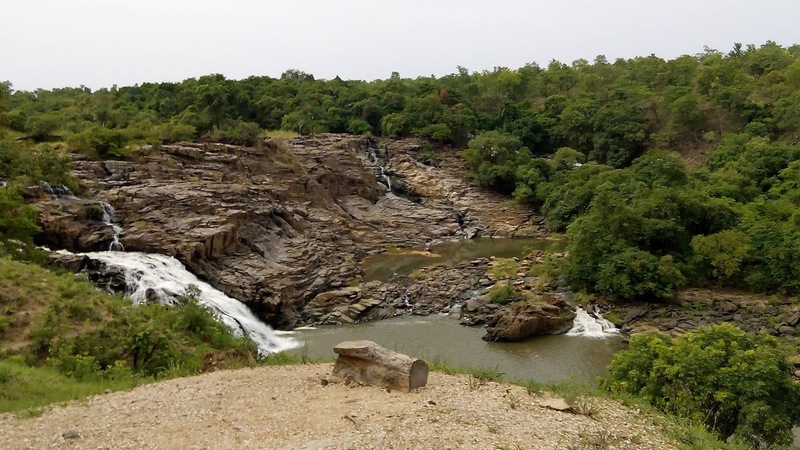 Gurara water falls is a force of nature, beautiful and yet brutal cascading over the hard rocks, creating a tremendous splash. The water fall comes down with power, the noise is very loud, like a roar. It is a breathtaking sight to see, and refreshing to jump into for those who can swim. Although during the rainy season the whole cliff is usually covered with a curtain of waterfalls. The water fall gets murky during this period. So tourists aren't able to hike down to take a plunge, you can only watch from above. i have visited this wonder a number of times and could not still get enough of it. Although i do not swim, but i enjoyed sitting on one of the rocks while watching the water whooshing and gushing over rocks. I enjoyed the sound of it and the sounds of birds chirping. It is a great place for bird viewing. If you need a nice relaxation spot, Gurara falls it is. It is advisable to come with food and drinks, as there is no where close by to buy them. You can relax, play card games, or lay on the mat and read, that is if you are not swimming or hiking beside the falls. It is family and kid friendly. Hopefully with time I hope the government or private sector sees it as a tourist attraction that it truly is and build some recreational centers around it. For those who haven't been there, there is an affordable gate fee. It's sad that the Nigerian government do not take tourism serious. What a beautiful place! I would love to visit it someday. A great blog!